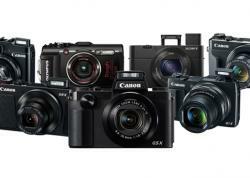 Sony wowed the photography world last year with the release of the Sony A7, A7R & A7s cameras. A full frame, 35mm sensor packed into a small mirrorless body. It was the first of it's kind and did not disappoint. 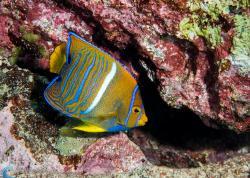 With the large sensor and small body, it was easier to travel with, created a lower profile underwater than larger DSLR's and the three different camera bodies gave photographers the ability to choose the one that best fit thier needs without buying a completely separate housing if they wanted to switch between two versions. The biggest downside to this great new Sony camera was the lens choice. Flash forward a year and we not only have several great new lens options, but Sony has revamped their A7 line with the release of the A7 II, A7R II and A7S II. Both the A7II and A7S II are great. Choose the A7 II if you want the high detail of the 35mm sensor but without the added expense of the high resolution R version. Choose the A7S II for the best video production, including internal 4K recording - a great new feature. For the best of the best though, the A7R II takes the cake. This camera offers high megapixel count on the 35mm sensor creating extremely detailed images and allowing you a little wiggle room to crop photos without losing important resolution. Garibaldi shot with Sony a7R II. Photo: Kelli Dickinson. Sony A7 II - The original. Full Frame 35mm sensor, excellent image detail. 24.4 MP CMOS Sensor - the perfect choice for those wanting a small full frame camera without breaking the bank. Sony A7R II - R stands for Resolution. This beast features a 42.4 MP back illuminated full frame sensor. Extra wide range of ISO sensitivity and super fast phase detection and contrast detection auto focus. Built in 4K video recording. The A7R II offers the best of all worlds, with the back illuminated sensor improving low light capability, 4K recording mode offering improved video recording ability and high megapixel count priving incredible detail in still images. This is the one to choose when you want the most detail possible and cost is not so much a concern. 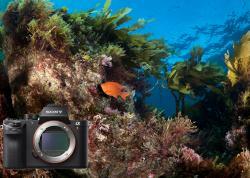 This camera will be the best choice for most underwater photographers. Sony A7S II - S stands for Sensitive. This low megapixel version improves on the original A7S with high sensitivity in low light. The lower resolution (12.2 MP) means larger pixels which can let in more light creating better low light performance. If you are dedicated to video this is the camera to choose. New internal 4K recording mode offers full pixel readout without pixel binning, resulting in the highest resolution 4K possible. ISO goes up to a mind-boggling ISO 400,000. 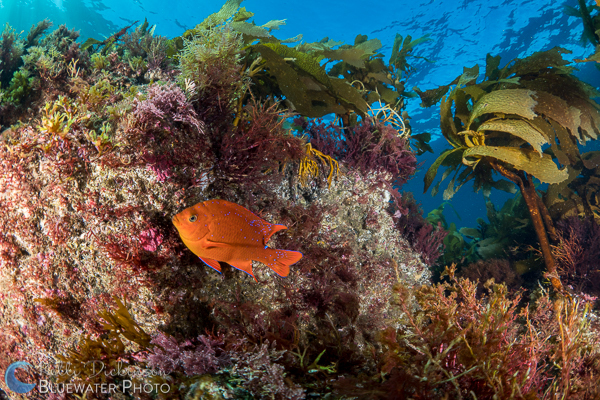 I recently had the opportunity to take the Sony A7R II underwater and it did not disappoint. 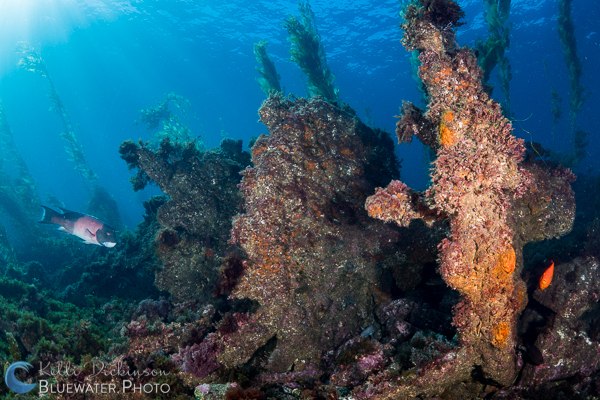 Paired with dual Sea & Sea YS-D2 strobes, the resulting images were not only incredibly detailed, but also vibrantly colored and crisp. This is definitely the option to pick if you want the best of everything with this Sony line. The biggest problem with the Sony A7 II Cameras, especially the A7R II is that it eats through batteries. Sony continues to use the small NP-FW50 which aids in keeping the overall camera body small, but it means you'll want to change batteries or charge the camera between every 1-2 dives max. One saving grace with the A7R II is that Sony did include a second battery with the camera, so you don't have to buy it, however for us underwater photographers, it does mean opening up the housing more often than you may like. For Video Shooters: If you want the flexbility of shooting high resolution still images and high quality HD video then the A7R II is the choice for you. This camera also records 4K video internally as the A7S, and offers two crop modes to shoot in. The Super 35 (APS-C) 4K crop mode is specified by Sony to offer the best overall video quality. This mode uses a smaller portion of the sensor but does not use pixel binning, offering you better overall 4K quality than in the Full Frame 4K mode. While I have not yet had a chance to test it, reviews differ on which mode has a worse rolling shutter effect when panning side to side. 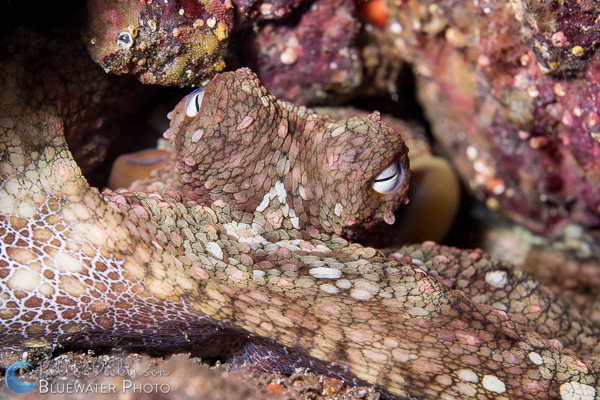 One really nice aspect of the A7R II due to the innovative back lit sensor is that the low light quality is excellent, a plus for video shooters underwater. Includes 2nd Battery in Box! 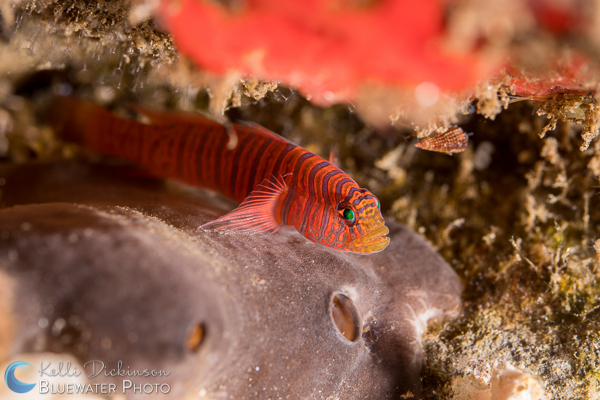 Dimensions 4.69" x 2.74" x 1.50"
View underwater cenote photos shot at high ISO with the Sony a7R II. 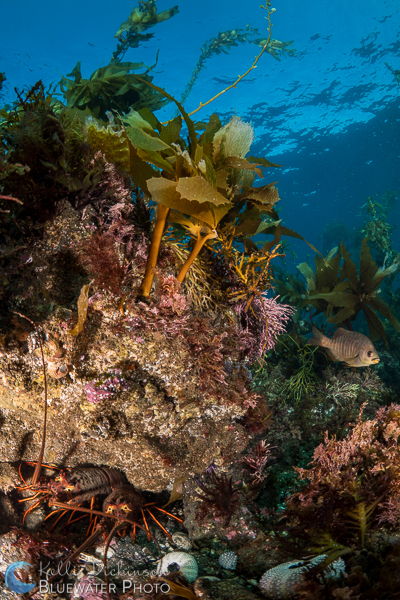 Finally Sony stepped up and released some great new lenses that are ideal for underwater photography. The first released FE 16-35mm F4 lens offers nice wide angle, but still left us lacking for that super wide angle of view that can only be obtained with a fisheye lens. In addition there was no macro support, leaving underwater photographers struggling to use a diopter with the kit 28-70mm lens. Now we have support for both Fisheye and Macro, here's the best lenses for underwater use with the A7 II line of cameras. Sony FE 28mm F2 with Sony Fisheye Conversion Lens -while not a true fisheye, this lens and converter combination works excellently, offering the wide field of view in a native Sony lens. Nikonos 15mm Fisheye Lens with Nikonos Adapter (Nauticam) -a good option if you have one of these laying around or can find one, though not as wide as the 28mm + FE Conversion Lens. The Sony A7 series sits somewhat in its own class of camera. Without a mirrorless it can't be considered a DSLR, but it comes equipped with a Full Frame sensor. 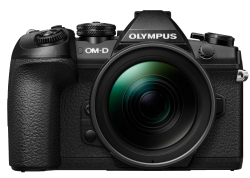 With the larger sensor it stands apart from other mirrorless cameras like the Sony A6000 and popular Olympus O-MD cameras. The Sea & Sea a7II Housing, Nauticam a7II Housing, Aquatica a7II Housing and Ikelite a7II Housing are all currently on the market. Both Nauticam and Sea & Sea have released underwater housings for the A7 II line of cameras. Since the only difference between all three cameras is that the A7R II and A7S II have a locking mode dial where as the A7 II does not, we can confirm that all three cameras will work in the same housing. While not an issue for most people, this is excellent for pro shooters who may buy the housing an choose the body they need based on the shoot requirements. The Sea & Sea housing combines the sleek, simple engineering of their high quality DSLR housings into a smaller package. You have control over all camera functions with this housing and the controls are further to the left to make them easy to reach. Designed like a miniaturized DSLR, you have included molded grips, stainless steel latches, easy to use shutter release lever and support for the Optical YS TTL Converter. The YS Converter is a real selling point for this housing. As one who has been skeptical of the results I get through onboard camera flashes and fiber optic cables I tend to shy away from TTL. However, I tested both in Manual mode and in TTL with this housing and the Sony A7R II and was very impressed at the accuracy. For most wide angle shots it was great (shooting into the sun is always the exception), and when using the macro lens I left it in TTL without even thinking and ended up with great exposure every time. Overal I found it intuitive to use the housing, and really liked that Sea & Sea offers quick access to the C1 and C2 buttons through well placed levers on the side. Changing my settings was a breeze and I was able to reach all controls underwater, with my average sized female hands. The overal buoyancy was decent (a little buoyant with the large dome when using the 16-35mm lens and a little bit negative with the 90mm macro). The housing is compatible with both the 45° and 180° viewfinders and includes the hotshoe bulkhead for using sync cords if you do not opt for the Optical Converter. There are a few cons to the Sea & Sea housing, the primary one is that they used the same port diameter of about 85mm as they used in previous mirrorless housings like the Sony A6000. The problem with this is that many of the Sony FE lenses have wider diameters that will not fit through that sized port opening so in order to use them you have to put the camera sans lens into the housing, close up the back, then attach the lens to the camera from the front of the housing, then put on the port. It also means that if you want to remove a memory card or swap batteries you'll need to reverse that whole process. One saving grace is that Sony also includes a USB charging cable and AC Adapter. It works out perfectly that the mini USB port on the camera is accessible without having to remove the camera body from the housing. Simply remove the back of the housing and plug in the cable. On a one hour surface interval you can regain about 20-30% of your battery life, giving you plenty for the next dive. 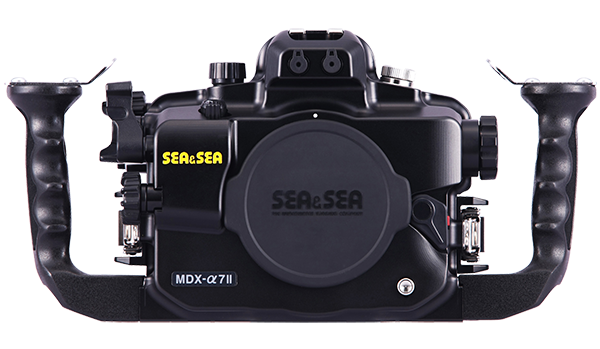 SEA&SEA a7 II Housing - Buy or view ports, lenses & product video on Bluewater Photo. The Nauticam A7 II housing continues with the ergonomic design of previous housings offering easy to use controls and a variety of useful accessories. Similar in size to the Sea & Sea housing it is much smaller than any DSLR. All controls are very well labeled and designed to be within easy reach. Just like the DSLR housings, the A7 II housing includes rubberized grips and ball mounts. The shutter release lever is large and sensitive, they offer two rear levers for movie record and AF/MF/AEL control. The two custom function buttons are simply buttons on top of the housing, similar to their placement on the camera. All camera controls are accessible within the housing and it utilizes Nauticam's excellent port release system which uses internal components to lock and unlock the ports allowing you to simply push on and pull off - no twisting, no strap wrench needed. In addition, Nauticam created a new port size with the original A7 line which they continued with this housing. The N100 (100mm) port opening is larger than the standard mirrorless allowing the new larger Sony lenses to be used without having to assemble from the front. The housing includes both an M14 and M16 bulkhead allowing you to use a variety of accessories, such as HDMI bulkhead for external monitors, vacuum bulkhead and electronic sync cords if you don't want to use the flash trigger. These accessories are one thing that set's Nauticam apart from other housing options, its easy to add on and create the perfect system for your needs. In addition the Nauticam Enhanced viewfinders are also compatible with the A7 II housing. 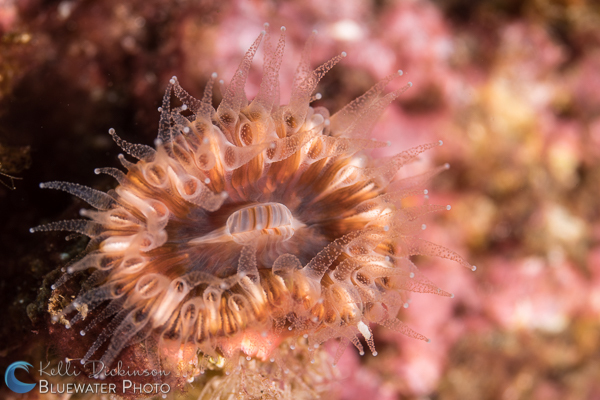 While there is no TTL capability with the Nauticam housing they do offer a nice accessory in their fiber optic flash trigger. This piece slides directly into the hotshoe on the camera and produces light for the fiber optic cables through two small LED's. Since the A7 II cameras do not have any built in flash this is the only way to use fiber optic cables with the Nauticam housing. The one small thing to keep an eye on is the locking camera tray. For some reason Nauticam combined both versions of their tray into this housing, so it locks twice. There is the red locking tab that you push in to release the tray and that clicks into place automatically when you insert the tray, but there is also the black locking lever that you open to release the tray and have to also close after inserting the tray. Its a bit redundant and if you forget to close that black lever it will be very difficult to close the housing, and it will prevent the housing from creating a solid seal once you force the housing closed. This will result in a flood. 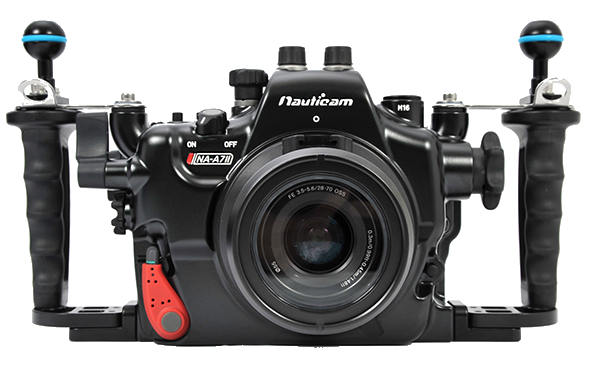 Nauticam a7 II Housing - Buy or view ports, lenses & product video on Bluewater Photo. The Aquatica a7R II housing is definitely a fantastic option for the A7RII (or other A7 II cameras). Well built, and ruggedly designed to stand up to challenging ocean conditions, it has the classic Aquatica matte finish and full camera controls available. In fact it is the only housing option that truly offers complete control of the camera due to their innovative dial control on the back of the housing. This control corresponds with the dial on the back of the Sony camera and allows for quicker scrolling through menu and setting options as well as a third custom dial option when setting up the camera. One custom function that can be set is ISO control, which gives the shooter immediate access to adjusting ISO on the fly - something that video shooters may find extremely helpful. Aquatica also moved the control for the OK button on the camera to a large lever, well positioned by your thumb. They extend a lever for the C1 Function button on the top of the housing as well. I found this nice since they did not reposition the AF/MF button on the housing. Instead of using AF/MF for focus lock I set the C1 button to AF ON which then allows the camera to auto focus when you press the C1 button. This is very useful for macro with the 90mm lens which is not super fast to focus. 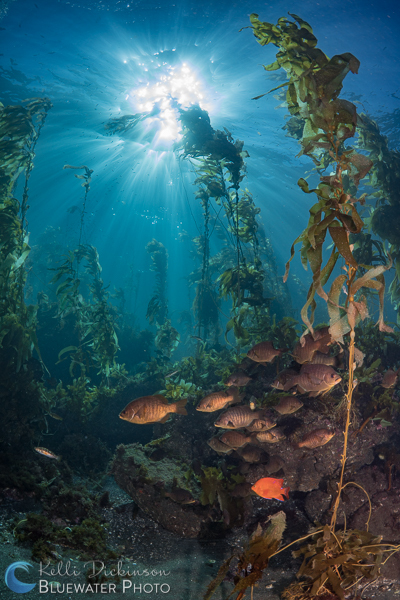 You can lock focus with the C1 button, turn the AF w/ Shutter control to OFF, and then shoot as many exposures as you like without refocusing which can save time and stress under the water . All the controls on the Aquatica housing seemed well placed, well designed and easy to use. 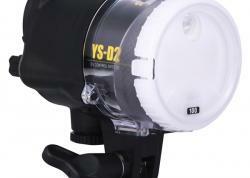 They function as they should making the overall shooting experience underwater a breeze. In addition Aquatica has gone one step further than the other housing manufacturers and created a flash trigger for this housing that comes included at no extra cost. This flash trigger is compatible with the Sea & Sea YS-D2 strobes and offers the shooter the ability to fire strobes using fiber optic cables on the A7R II camera despite having no pop up flash. You also maintain the faster recycle rate of the UW strobes since you are not relying on an accessory flash or on camera flash. When purchasing you have the option to get the housing with the Fiber Optic ports + flash trigger, with a manual nikonos bulkhead or with a manual Ikelite bulkhead. Just like with the Nauticam housing, there is no TTL option for firing strobes, only Sea & Sea or Ikelite offer TTL when using their own branded strobes. The A7RII housing utilizes the same port system as the Aquatica DSLR housings. This means that there will be a wide variety of good port options to fit any lens choice, and that there will be no issues with fitting the larger diameter lenses through the port opening on the housing. They have port options for all the Sony FE lens options for underwater as well as Canon lenses with the Metabones adapter giving a wide variety of options for the Sony A7R II camera. Overall I was very impressed with the housing, and found it was easy to get comfortable shooting underwater and controlling the camera from outside the housing. 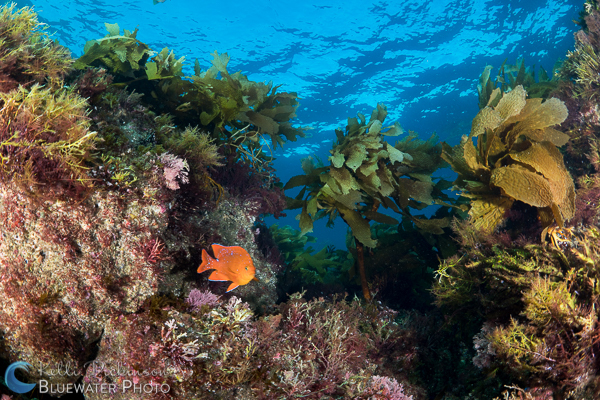 The excellent image quality of the Sony A7R II and the ease of use with the Aquatica housing make this a perfect combination for underwater photography or videography. 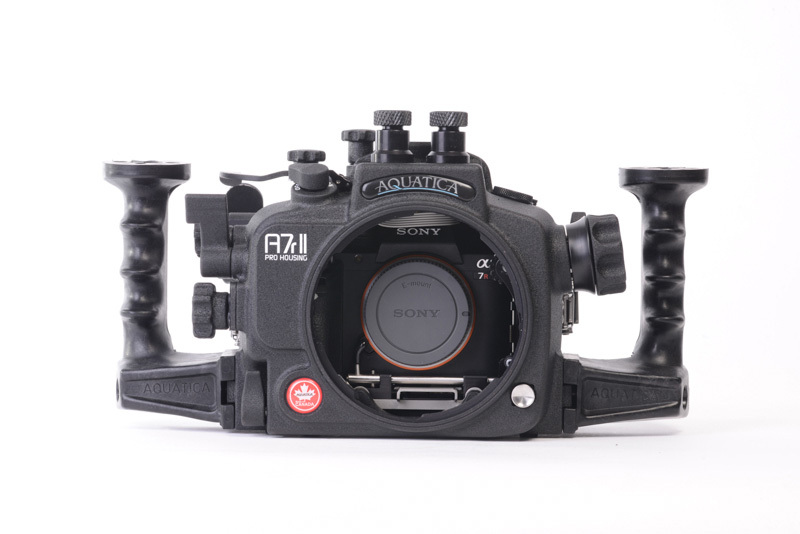 Aquatica a7 II Housing - Buy or view ports, lenses & product video on Bluewater Photo. The Ikelite A7r II Housing has just been recently released. 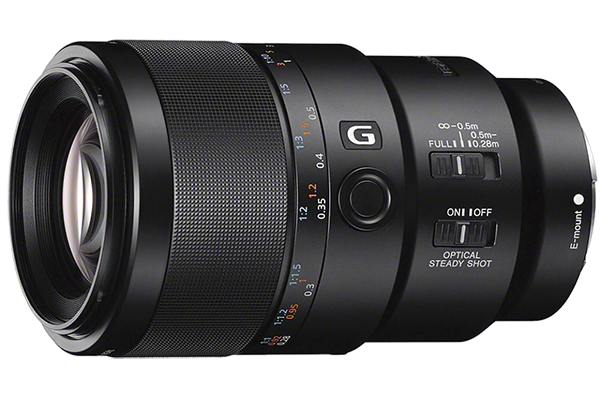 Though we have not yet had a chance to check out the housing, it looks like is has great lens support, and it very well priced. The Ikelite will likely be a bit more bulky than the aluminum options as is the case with other housings. They have a new composite polycarbonate being used that changes the overall look of the housings. No longer complete see through the new Ikelite A7 II series housing features a beige opaque front with the classic clear back so you can still check o-ring seal and housing controls. This new polycarbonate is lighter and stronger. Dimensions: 9.1" x 7.1" x 6.1"
The A7 II housing utilizes the same port opening as the DSLR housings so you have access to a full line of ports that will fit a variety of lenses including the Sony FE lenses and canon options with the meta bones adapter. Lastly it is one of a few housings that offer TTL control with the A7 II cameras. 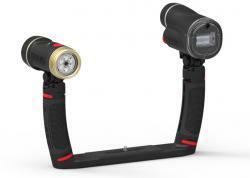 Using Ikelite strobe and electronic sync cords you can shoot in TTL mode for easy, accurate lighting control. Once we get this housing in our hands we'll get more information up, but overall it looks like the Ikelite will offer a perfect solution for the underwater photographer that wants the A7 II but can't afford the more expensive aluminum options. 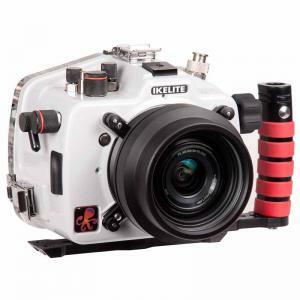 Ikelite a7 II Housing - Buy or view ports, lenses & product video on Bluewater Photo. Overall both housings are great for the Sony A7 II / A7R II and A7S II. Pick the one that best suits your needs as they both offer a full line of ports. For TTL lovers the obvious choice is the Sea & Sea, but if you want to have a few extra bells and whistles then the Nauticam may be more enticing. The Ikelite is a great value, and the Aquatica housing combined a bulletproof design with great ergonomics. If your unsure of which A7 II camera to purchase, go with the one that both fits your budget and your shooting needs. Dedicated video shoots will want the A7S II for its high resolution 4K shooting and excellent low light performance. Those wanting the most detail possible will want to pay the extra money for the A7R II, but if that is out of your budget, the original A7 II is still an incredible option. 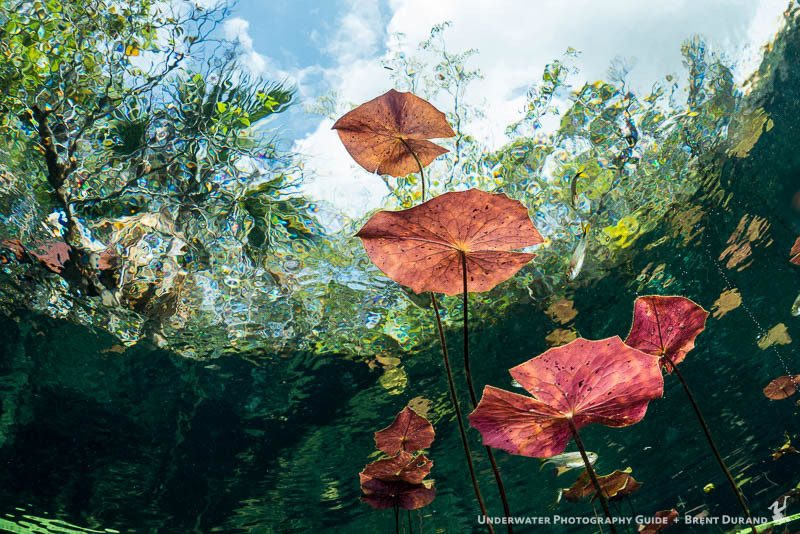 Kelli Dickinson is an avid diver and underwater photographer who shoots primarily on mirrorless cameras. 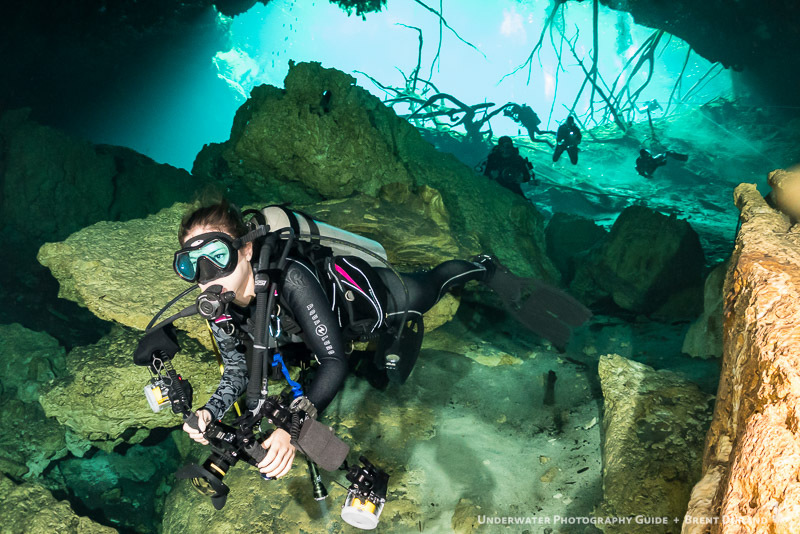 Familiar with a variety of cameras and housings she tries to shoot on as many different options as possible to improve her overall knowledge of underwater camera systems. In addition she is Manager of Bluewater Photo. In her spare time she can be found running, hiking or underwater. Connect with her on instagram @kelnkelp or at www.kelnkelp.com. She can be reached via email at kelli@bluewaterphotostore.com.